According to Canadian researchers, adolescents and young adults with type 1 diabetes (T1D) exhibited improvements in their clinic attendance and experienced a decreased emotional burden by participating in a structured transition program as they prepared to switch from pediatric to adult care. The study was presented at the American Diabetes Association’s annual meeting in June. 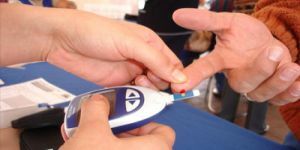 The multicenter, randomized trial enrolled 205 youth between the ages of 17 and 20 with T1D who received their diabetes care at clinics in academic or community settings. The primary outcome was to determine whether access to a transition coordinator as part of a structured transition intervention program would be of benefit to young adults with T1D during their care transition period. The adolescent patients were randomized to 2 groups: 104 in a structured transition care program with access to a transition coordinator, and 101 in a standard care group, which did not provide access to a transition coordinator. The dedicated transition coordinator was a certified diabetes educator who attended patients’ clinic visits and was then accessible to them in between visits by e-mail, text, or phone to help solve specific diabetes-related problems and issues and navigate the healthcare system. The patients were seen in their pediatric care setting for 6 months before being transferred to an adult care setting. Once transferred, they continued with their intervention or standard care program for 1 year. Upon enrollment and again upon completion of the program, all participants were given the Client Satisfaction Questionnaire (CSQ), the Diabetes Quality of Life (DQL), and the Diabetes Distress Scales (DDS) questionnaires to capture data. The questionnaires were completed by 71 (68.3%) of the patients in the structured transition program group, and by 57 (56.4%) of the patients in the standard care group. The survey data revealed that the patients in the structured transition group had contact with their transition coordinators an average of 17.6 times each during the 18-month study. They also attended more of their clinic visits compared with the patients in the standard care group (4.1 vs 3.6 visits per patient, on average), and they reported that they were more satisfied with their care than the patients in the standard care group (28.9% vs 27.9%, P = .04). They also reported a lower emotional burden from their diabetes (2.3% vs 2.7%, P = .03). Spaic further explained that the study outcomes will be evaluated even further during a 1-year follow-up after the intervention is completed, when an economic analysis is conducted that will determine whether this type of intervention is associated with savings in healthcare costs. “A similar model could also be considered in other chronic childhood conditions, such as cystic fibrosis, congenital heart disease and inflammatory bowel disease,” Spaic concluded. Youths with Diabetes: Can Gaming Entertain, Educate, and Reward?